Built in Japan, Angriya is a luxurious 7-deck passenger ship which is 131-meter long and can accommodate about 400 passengers. If you walk around the entire ship you will cover a distance of 4 km. On an average, the cruise liner runs at a speed of 16 nautical miles per hour but can attain a maximum speed of 25.5 nautical miles. 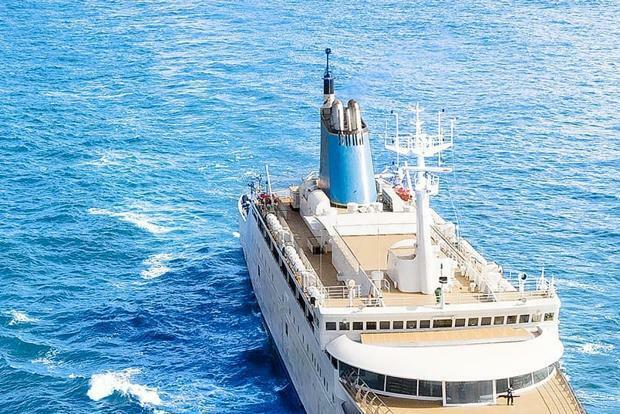 Angriya cruise departs from Mumbai’s Victoria Docks at 4 pm and arrives at Goa’s Mormugao Cruise Terminal at 9 am the next day. The return journey from Goa begins at 4 pm and ends at 9 am the day after. 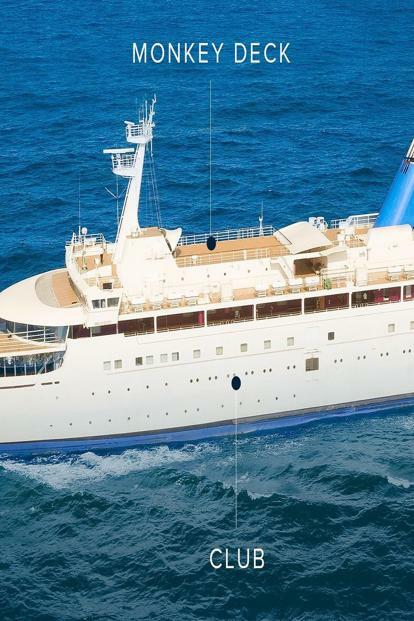 Angriya Cruise is 131 meter long but a walk around the ship covers around 4 km. 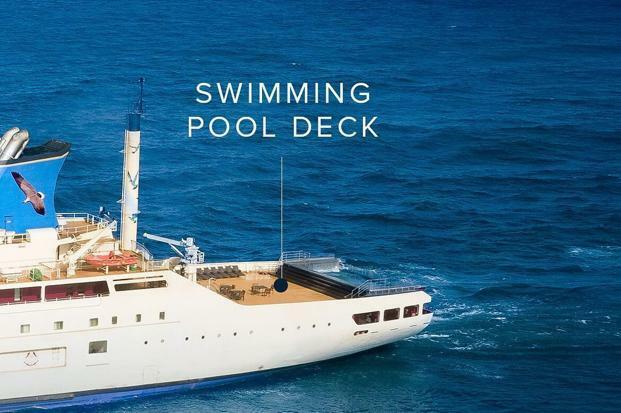 Angriya Cruise has Monkey Deck, Gaaz Deck, and the Swimming Pool Deck where you can bask in the winter sun and click selfies. 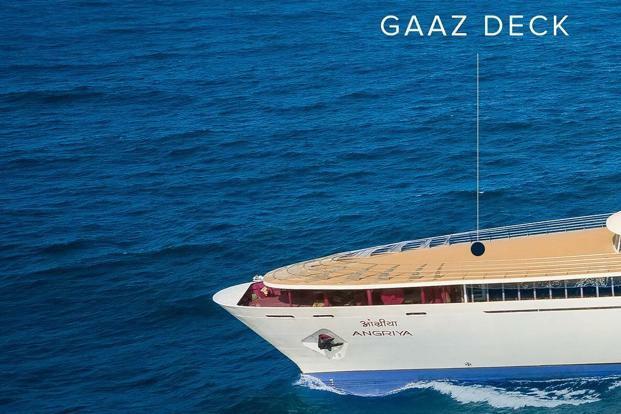 Gaaz Deck is the forward-most deck of Angriya Cruise. 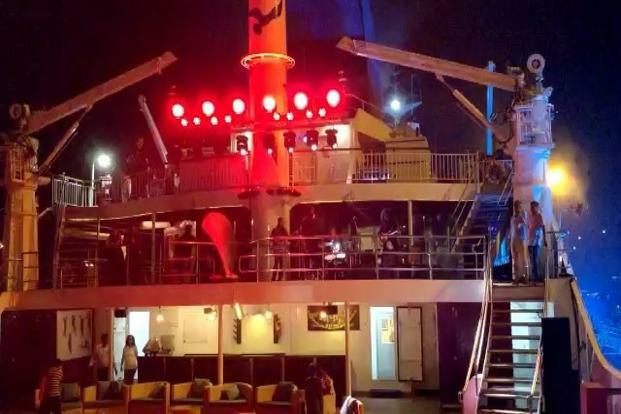 Monkey Deck is the topmost part of Angriya Cruise and the best place probably to spend some time under the night sky. 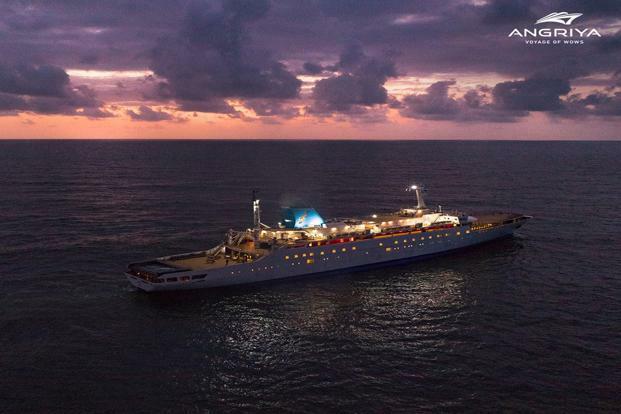 The Mumbai-Goa cruise has another deck for you to enjoy the sea. Not all rooms at Angriya ship have attached bathrooms. 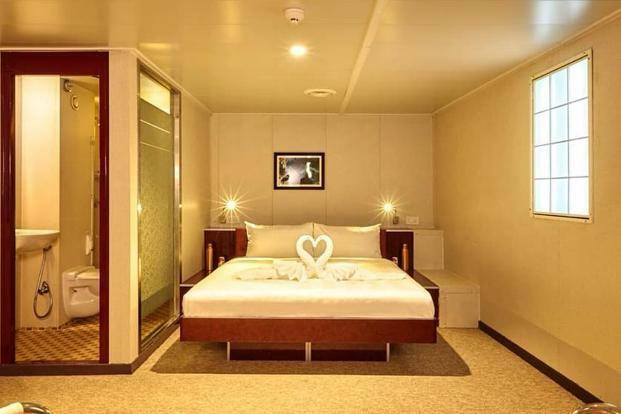 The double bed room on Angriya ship with double bed and large windows is priced at Rs 7,650 per person. 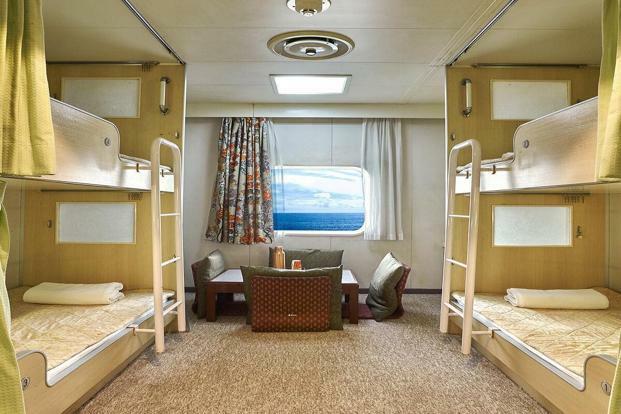 For budget constraint travellers in the Mumbai-Goa cruise, there are dorms and pods which give you a comfortable bunk bed to catch some sleep at night. You can buy a meal package of Rs 2,000 which includes tea, juice and snacks on arrival, buffet dinner and breakfast. You also have restaurants and bars in the cruise but outside food or even water isn’t allowed on Angriya ship. There is no Wi-Fi facility on Angriya ship and mobile network availability is also likely to be poor as you move away from the Konkan coastline. Angriya cruise can suit different budget requirements. 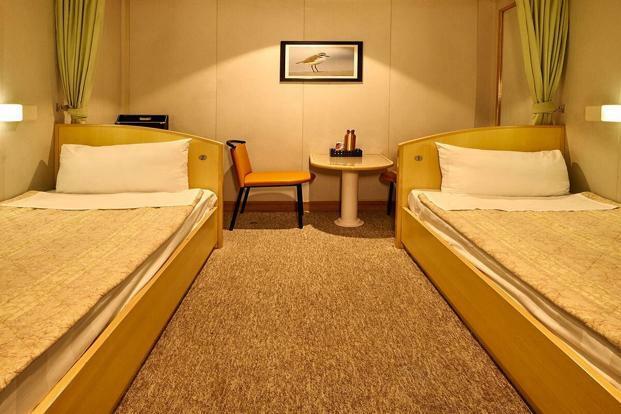 You can sleep at night on bunk beds which would come at a price of Rs 4,300 per person or choose to book a double room with prices ranging upto Rs 7,650 per traveller. Meals are charged at Rs 2,000 per head including beverages, juice, snacks, buffet dinner and breakfast. How to Pass ACT Test? ← MISSICON 2018 – the 3 day annual Conference of Minimally Invasive Spine Surgeons of India, begins at Hyderabad!